Happy Holidays to everyone! December is a busy month full of celebrations. Hannukah and Christmas are among the top most celebrated holidays. As American Honey Queen, I think of how to incorporate honey and other products of the hive into my celebrations! 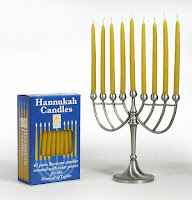 Beeswax candles are used for Hannukah. This year, Hannukah, the Jewish Festival of Lights, runs from December 2-10, where candles are lit every day in celebration of the re-dedication of the second Jewish Temple in Jerusalem. The candles used can be beeswax. 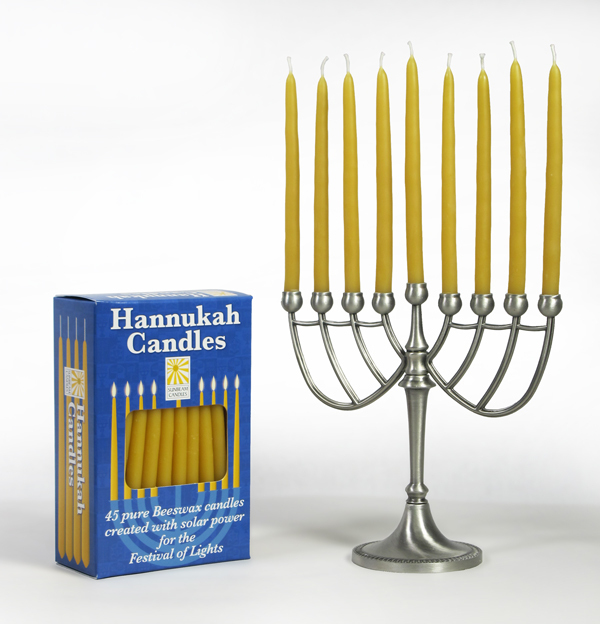 Beeswax candles burn longer, give off a slight honey smell, and are environmentally friendly. Like most holidays, there is always cooking and special foods involved. A traditional food for Hanukkah is fried latkes. Check out this recipe for honey inspired applesauce and latkes. Christmas, the celebration of the birth of Jesus Christ, takes place on December 25. This popular holiday is often filled with gift giving. If you need a last minute gift, consider giving a book on beekeeping or unique flavor of honey to a friend or family member. If you know a beekeeper that you still need to give a gift to, consider a new set of gloves or hive tool. Another food filled holiday, most families sit down for a meal as part of their Christmas celebration. 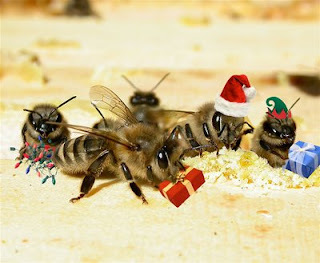 Your Christmas meal would be great if it included honey! Check out this recipe for Pineapple Honey Glazed Ham. No matter what holiday you celebrate, I hope you have a sweet time! Thank you for your comment/question! We are busy buzzing across American spreading the sweet news about honey and beekeeping, but we will do our best to respond in the next 24 hours. We appreciate your patience!